Anti-e-toll group Outa said on Monday that it has “plenty of evidence” indicating the Gauteng tolling equipment is unreliable. This comes after roads agency Sanral warned high value corporate e-toll defaulters on Monday that they would be issued summonses this week. It announced that the first set of civil summonses to individuals is being delivered by sheriffs in different jurisdictions in Gauteng. “The summonses will also include higher value summonses of mostly companies. Due to the amount owed in these cases, the summons has to be managed by the high court,” said Alex van Niekerk, project manager for the Gauteng Freeway Improvement Project. However, Wayne Duvenage, chairman of the Organisation Undoing Tax Abuse, said there can be no consensus for e-toll defaulters. Duvenage said the companies and people who may be at risk of a summons are those who have signed Sanral’s e-toll contracts in the past and have now defaulted on these. “However, even in this situation, we know that many businesses would have initially signed these agreements under duress of Sanral’s initial threats of criminal prosecution and they will have a strong chance to defend their their rights of ceasing to pay for the unjust e-toll scheme. “We know of many businesses and individuals who have paid up and cancelled their agreements with Sanral and by doing so, have joined the other 80% to 90% of the road-users who are not paying,” said Duvenage. The decision to issue summonses comes at the end of an extensive period of communications between Sanral and vehicle owners who neglected to pay outstanding debts, Sanral said. Since the introduction of the 60% discount of e-toll debt in November 2015, Sanral said it made it quite clear it will also introduce a process of debt collection against serial defaulters. 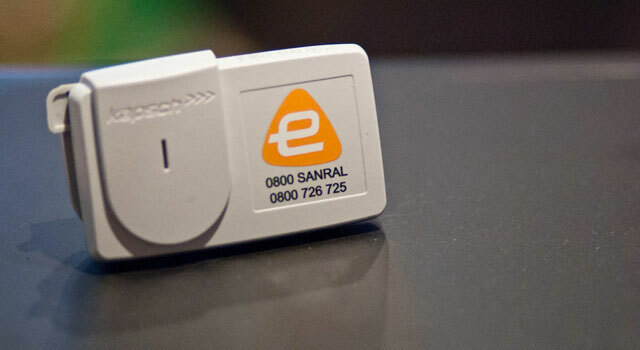 Sanral said the Electronic Toll Collection company, which runs the system on behalf of Sanral, has reiterated and amplified this, not only through the media but also directly to individuals through phone calls, e-mails and SMS messages. The same could be said of their employees – especially the executives and their spin doctor. I have been trying since the beginning of December last year to get detailed billing for 1 un-tagged vehicle for use in court proceedings without any luck, and it can only be due to unwillingness or inability, but the latter seems more and more the more likely to be.